Bring the wonders of the night sky and STEM to your school or group with our portable planetarium and mobile science museum! 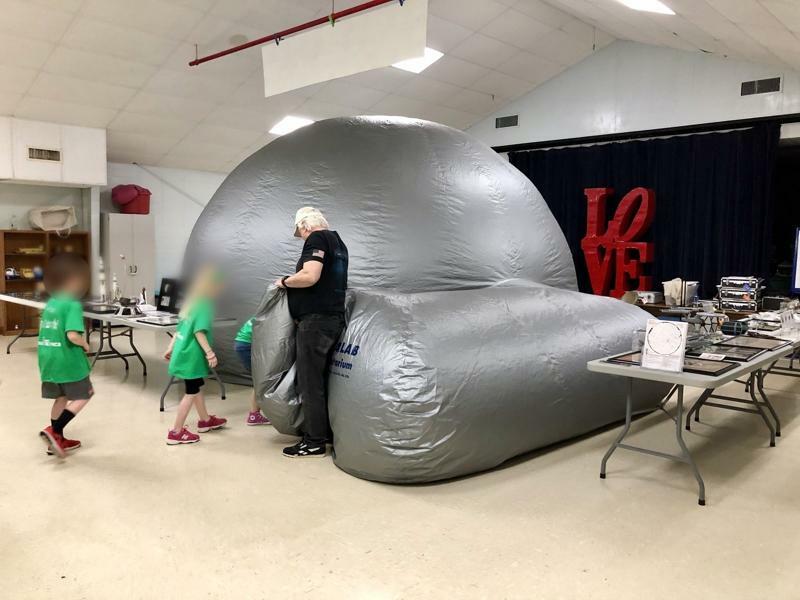 The Arkansas SkyDome portable planetarium and mobile space science museum provides entertaining and educational space related programs for schools and organizations across Arkansas and our surrounding states. Our programs are hosted by Stephen Meeks, who brings over 30 years of stargazing experience and passion to our events. 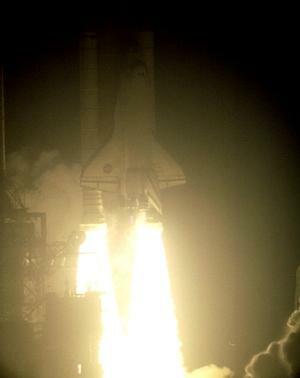 He also attended numerous Space Shuttle launches at the Kennedy Space Center where he was able to talk to astronauts and NASA personnel, giving your students the rare chance to hear from someone who has seen and experienced our space program in action. 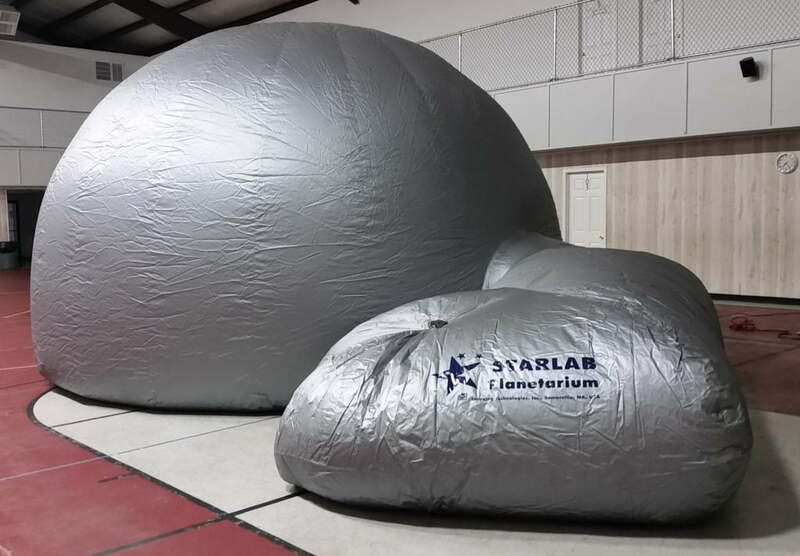 Our inflatable SkyDome sets up easily in your location, bringing a star-filled planetarium to your site. 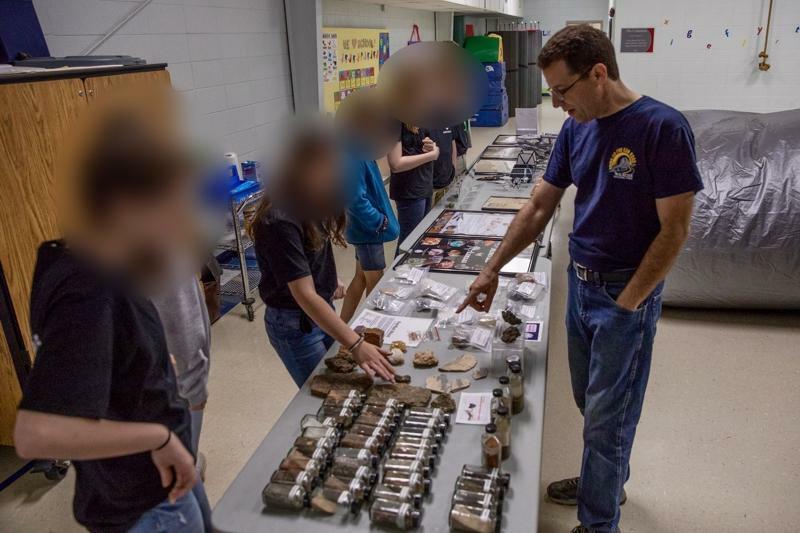 Science exhibits include meteorites, rocket / aircraft models, astronaut autographs, rock and soil samples from around the world, fossils and more. Age appropriate and weather permitting we bring telescopes for safe viewing of the Sun, Moon, planets and other celestial wonders. More convenient and less costly than a field trip, these programs are suitable for every age group. If possible please schedule programs at least two weeks in advance. We can also help you pick dates based on night sky events, such as moon phase. Below you’ll find a list of exhibits we bring, background on our presenter, and some reviews. 2 grounded 120-volt standard electrical outlets. For telescope use – Nearby outdoor location to setup telescope equipment that is easy for students to transition to and is secure between groups. For multi-day programs, secure location to lock up equipment overnight. Programs are 30-60 minutes long depending on your need. A teacher / parent must be present during programs and accompany student’s inside planetarium. Organization provides 2-4 tables for us to setup the exhibits. Unless other arrangements are made, program fee due on the date of the programs. Plan on 45 min. – 1 hour lunch / dinner break for SkyDome hosts where applicable. Organization assumes responsibility for theft or damage to equipment / exhibits caused by attendees beyond normal wear and tear. 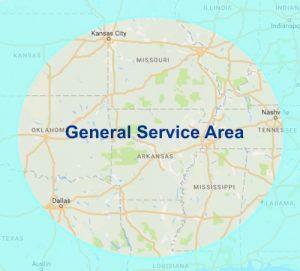 Service Area – Arkansas & Surrounding States. We travel anywhere in Arkansas. Contact us about the possibility of a visit if you are in a surrounding state. SkyDome Program Rates, Requirements and Travel Fee. *Rates do not include travel / lodging fee. 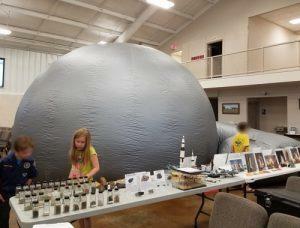 Programs include planetarium shows, exhibits and solar / telescope observing. Can be day or evening programs. A $1 / mile travel fee ($.50 there and $.50 back) is accessed for groups outside Faulkner County, Arkansas (our home county). For multi-day events or events booked on consecutive days with other groups nearby, contact us for a travel fee quote and about sharing the travel fee between groups. A $125 / night lodging fee may be assessed for each night lodging away from home. Mr. Meeks is a dynamic educator who has a passion for astronomy. He presents the material in a fun, enthusiastic way that catches student’s attention and tries to evoke a sense of awe and wonder. His goal is not to just teach facts, but how to do and participate. He has been presenting public programs since the early 1990s and has taught kindergarten through senior citizens. 30 years of star gazing experience. 6 year as an adjunct college astronomy professor. Press Representative at Kennedy Space Center for Space Shuttle Launches. 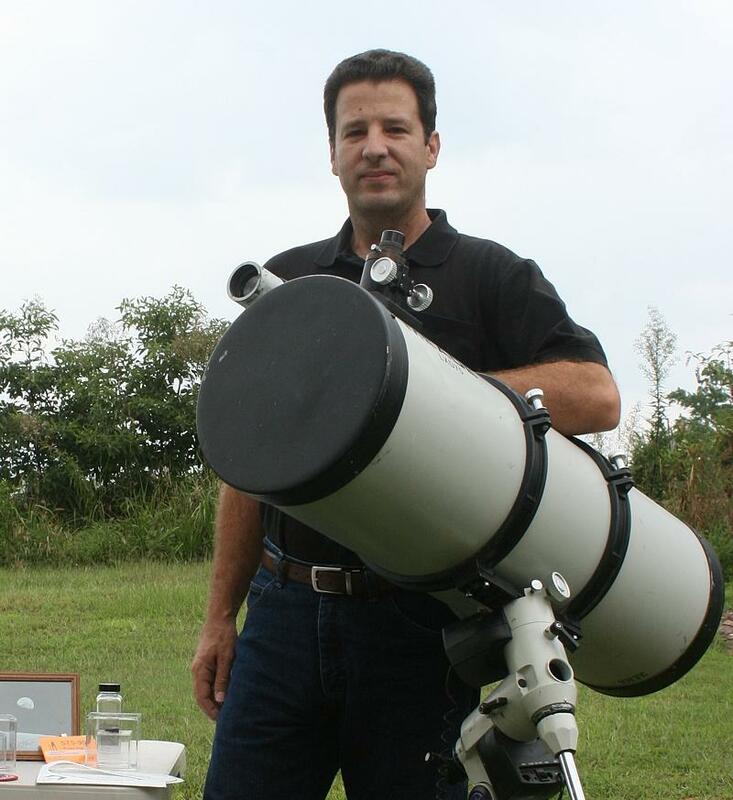 2-Term President of the Northeast Florida Astronomical Society. From elementary, scouts, teachers, college students, and grandparents!